Want the scoop on the sweetest event going on in D.C. this weekend? Here's a hint: It involves a dozen different ice cream vendors -- and you trying them all. At the fourth annual D.C. Scoop festival, Union Market is pushing aside their usual collection of goodies (think local tomatoes and fresh peaches) to make way for summer's go-to sweet. After you've gorged on free samples, stick around to see which frozen concoction is voted "best ice cream of the day." Vendors competing include Shake Shack, Nice Cream, Ice Cream Jubilee Suga Mama Sweets and a few out-of-towners. The winner will be selected by a panel of expert judges -- how do we get that job? -- but you can cast your vote in the people's choice category. There's also a few ice cream eating contests lined up, but only (officially) for the kids. 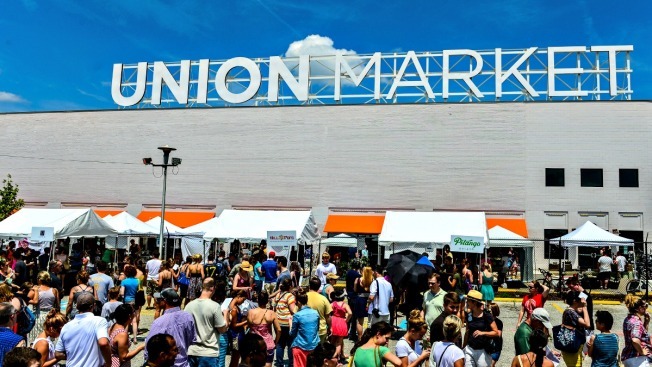 From popsicles to gelato to the old-fashioned stuff, you can try all your favorite frozen treats from 1 to 4 p.m. on Saturday at Union Market (1309 5th St NE).